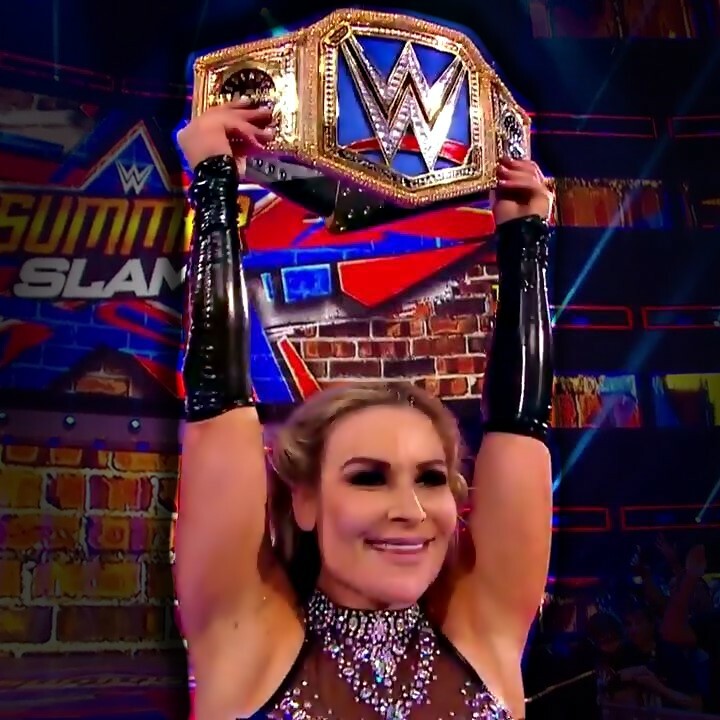 Natalya defeated Naomi to become the new SmackDown Women's Champion at tonight's WWE SummerSlam pay-per-view from the Barclays Center in Brooklyn. Natalya previously held the WWE Divas Title but this is her first run with the blue brand title. Naomi won the title back at WrestleMania 33 in a Six-Pack Challenge with Becky Lynch, Carmella, Natalya, Mickie James and Alexa Bliss. Also, Sasha Banks defeated Alexa Bliss to become the new RAW Women's Champion. Sasha is now a four-time RAW Women's Champion. Bliss won the title back on April 30th, defeating Bayley at the WWE Payback pay-per-view.